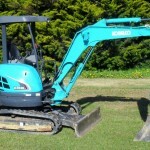 RC30 1.5 Tonne tracked Bobcat Width 1200mm used for moving, shaping and levelling. Has an auger attachment. 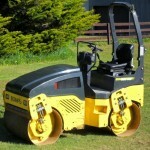 2.8 Tonne Twin Vibrating Drum Roller used for rolling and compacting driveways, pathways and finishing. 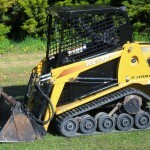 Based in the Macedon Ranges Dale Johnston heads a quality landscaping and earthworks business. Being able to turn your designs into realities. The ability to not only use machinery well but also read the land and understand drainage and the right materials to use for the best outcome. If you are after a quality finished driveway, retaining wall, pathways using natural products made from our local quarries then Regional Greenworks will be able to assist you. © Copyright 2013 Regional Green Works Contracting. All Rights Reserved.